President Trump is going to change the way the U.S education department investigates anti-Semitism, to include delegitimizing Israel or holding Israel to a double standard that would not be expected from any other democratic nation. This is fabulous news. Anti-Israel and pro-BDS activity is raging on campuses all over the United States. As a result, pro-Israel Jewish students are being terrorized on college campuses. “Palestinian” and pro-BDS groups criticized the decision harshly, claiming that their free speech rights are being violated. They’re lying. It is the free speech rights of pro-Israel Jews (on college campuses) that have been violated by the supporters of the BDS movement and other radical left-wing groups. Pro-“Palestinian” groups refuse to allow civilized debate on the Israel-“Palestinian” conflict, because they know they can’t win. Instead, they bully, marginalize, intimidate, humiliate, and assault pro-Israel Jewish students, making it next to impossible for pro-Israel Jews (and non-Jews) to exercise their freedom of speech rights. President Trump’s decision was not only a victory for pro-Israel Jewish students, but also for Americans who care about freedom of speech. 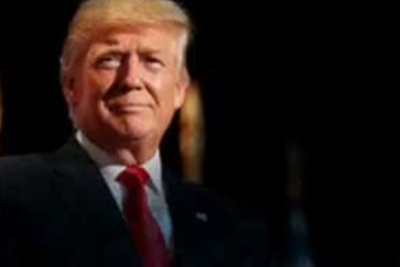 President Trump has quite simply been a godsend for Israel and the Jewish people. President Trump has done more for Israel in less than two years than AIPAC has done in 50. Significantly more. Sadly, President Trump can expect to receive only 25 percent of the Jewish vote in 2020, at best. The policy change was outlined in a letter last month by Kenneth Marcus, who leads the department’s Office for Civil Rights, in which he re-opened a 2011 investigation into Rutgers University in connection with alleged discrimination against Jewish students. The letter was obtained by POLITICO. Marcus wrote in the letter that the Education Department, in its investigations into discrimination, would use the “working definition” of anti-Semitism that is “widely used by governmental agencies” including the State Department. That definition includes examples in which delegitimizing Israel, or holding it to a double standard not expected of other democratic nations, are deemed anti-Semitic. That meant the Office for Civil Rights for the first time was using a definition of anti-Semitism that some Jewish activists have long sought as a tool to curb discrimination on campuses. But some civil liberties organizations and advocates for Palestinian rights believe that the definition is so broad that it would label criticism of Israel as anti-Semitic. Education Department spokeswoman Liz Hill denied that the administration had made a change. “The Department has not adopted a definition of anti-Semitism,” Hill said in an email. US naval, air and Marine forces have launched a war game from Djibouti, off the Horn of Africa coast opposite the Gulf of Aden and the Red Sea – their first drill for a potential regional clash with Iran, whether full-scale or limited. They are focusing on the simulated Iranian blockage of the region’s two vital chokepoints, the Strait of Hormuz in the Persian Gulf and the Red Sea’s Straits of Bab al-Mandeb, DEBKAfile’s military sources report. Taking part are 4,500 US troops of the 13th Marine Expeditionary Unit carried on the decks of EssexAmphibious Ready Group vessels. This group consists of the Essex amphibious assault ship, the Anchorage amphibious transport dock and the Rushmore dock landing ship. They are practicing confrontations with Iranian naval and air forces in the Persian Gulf and the Red Sea, and testing their rapid response capabilities in an emergency, coastal landings by the Marines, fast rescues of US fighter pilots whose planes were shot down, as well as their ability to function in waters sown with sea mines. 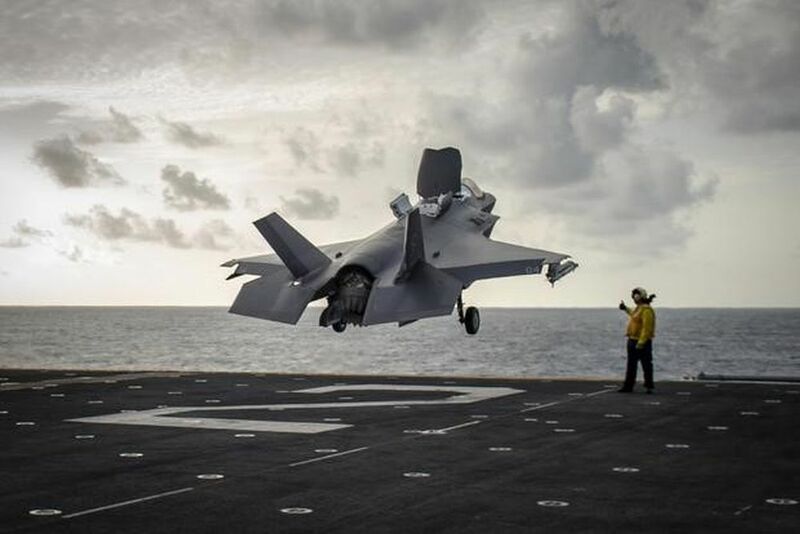 Also taking part in the exercise are the Marine Fighter Attack Squadron 211, which is made up of F-35Bs, the seaplane version of the advanced stealth plane. It is capable of vertical takeoff from US aircraft carriers or from the big Marine landing craft. It is the first time that the US has introduced the F-35 for combat duty in these regions. This US F-35 fleet, together with those flown by the Israeli Air Force, now cover a vast area – from the Strait of Hormuz, through the Gulf of Aden, the Bab al Mandeb Straits, the Red Sea and up to the Syria coast. Bipartisan bill passes U.S. House on Wednesday, now heads to President Trump’s desk for signature • Bill ensures 10-year memorandum of understanding with Israel would not be affected by budgetary wars, boosts U.S. war reserve stockpile in Israel. A bipartisan bill that would cement the U.S. military aid to Israel into law has passed a major hurdle on Wednesday night. The U.S. House of Representative approved the measure, known as the Ileana Ros-Lehtinen U.S.-Israel Security Assistance Authorization Act of 2018, several weeks after it passed the Senate. It will now head toward the president’s desk. Under the proposed legislation, the $38 billion in military aid over 10 years spelled out under the 2016 Memorandum of Understanding, would be funded through a special mechanism that would be separate from the annual budget. The bill would also give Israel increased access to sophisticated U.S. technology to ensure it maintains its qualitative edge in the region through the U.S. war reserve stockpile in Israel, which Israeli forces can use under certain conditions. It also authorizes the president to bolster the stockpile with $1 billion worth of weaponry, as well as with precision-guided munitions to use against Hezbollah. The bill further allows the president to establish a collaborative U.S.-Israel counterdrone program. The law ensures that U.S. aid would not be cut so long as the memorandum comes into effect starting in 2019, ensuring that the funds would not be influenced by the budget wars Congress and the White House have. It also means that presidents would not be able to suspend U.S. aid as a means of pressuring Israel. Washington is playing key role in mediating sale ‎‎of advanced rocket defense system to Riyadh, Gulf-based media reports • Deal expected to be finalized by December • Saudi source says deal could open door to future military ‎agreements between nations.